Ready Player One gets a villain. Zack Snyder talks casting Wonder Woman for Batman v Superman. A Firefly alum heads to Legends of Tomorrow. Plus, Ryan Reynolds talks fitting Deadpool into the X-Men movie universe, new posters for Jungle Book and Daredevil, and the return of 12 Monkeys. Spoilers! 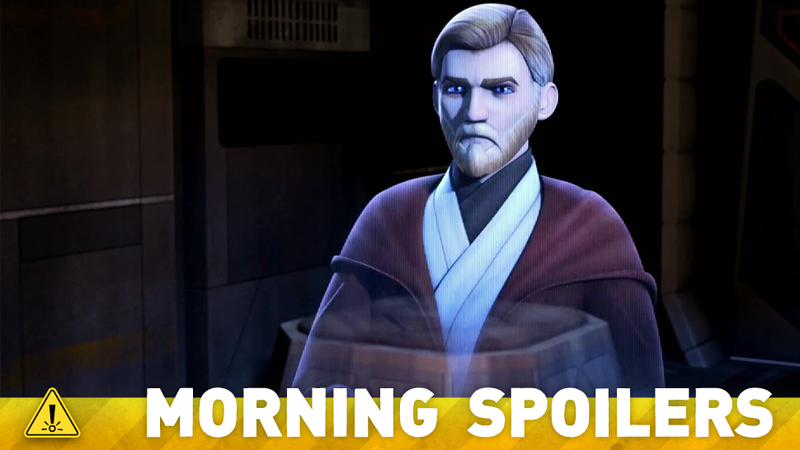 Rumors of a Star Wars spinoff movie focusing on the adventures of Obi-Wan Kenobi between the events of Revenge of the Sith and A New Hope have been circulating almost since Disney announced there would be spinoff Star Wars movies—but now those rumors have evolved into a whole trilogy, starring Ewan McGregor. The latest iteration comes from the Schmoes Know podcast—and even they advise skepticism, so that goes to show how stretched this one is—who claim that Disney are in talks with McGregor for an unspecified role. That role is believed to be a Post-Episode III Ben Kenobi in not just one movie, but three in a spinoff series that are separate from the Anthology/Star Wars Story series that Rogue One is part of. I would love that. I’d love to get fit and punch people! This film certainly works within the context of the X-Men universe, but it doesn’t necessarily include the sensibilities of an X-Men movie. It’s like taking an X-Men character, pumping him full of LSD and then releasing him back into that fold. We tested a bunch of actresses, as you can imagine.But the thing with Gal is that she’s strong, she’s beautiful, and she’s a kind person, which is interesting, but fierce at the same time. It’s that combination of being fierce but kind at the same time that we were looking for. She can get serious, but she’s amazingly fun to be around. And by the way, she really held her own with Ben in the screen test. Ben was like, ‘Whoa, that girl is something else!’ That was a good sign, because Ben is very tough in the scene, and he’s big and commanding. Anytime that you’re doing a test like that and you’re looking at the other person, you’re thinking, ‘Okay, that’s good stuff.’ That was part of the process, and over time as we got to know Gal, we found out how amazing she is. Here’s a new triptych of posters for the film. Here’s a new poster for the show, to accompany the announcement of the show’s return date. Additional reporting by Gordon Jackson and Charlie Jane Anders. Image: Star Wars Rebels.